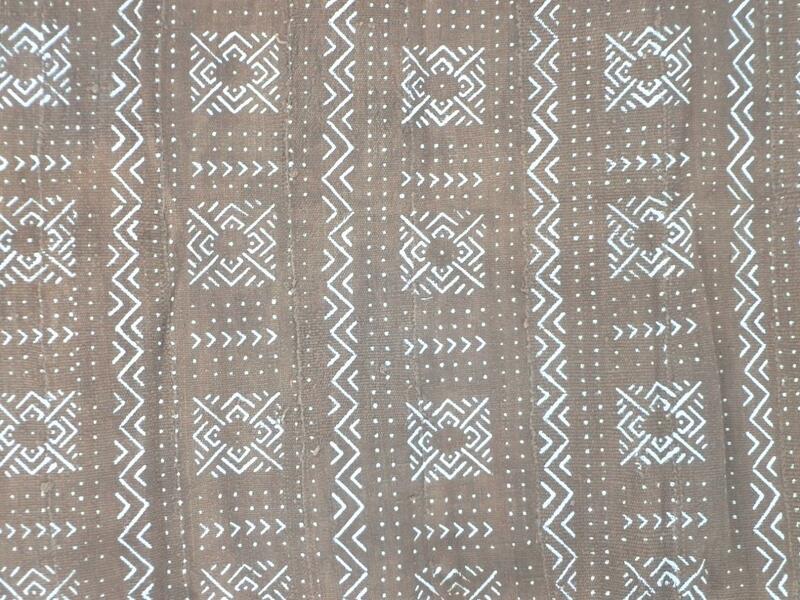 Bogolan (mud cloth) is a handmade Malian cotton fabric traditionally dyed with fermented mud. Traditionally, men weave the cloth and women dye it. On narrow looms, strips of cotton fabric about 15 centimetres wide are woven and stitched into cloths about 1 metre wide and 1.5 metres long. The dyeing begins with a step invisible in the finished product: The cloth is soaked in a dye bath made from mashed and boiled, or soaked, leaves of a tree. 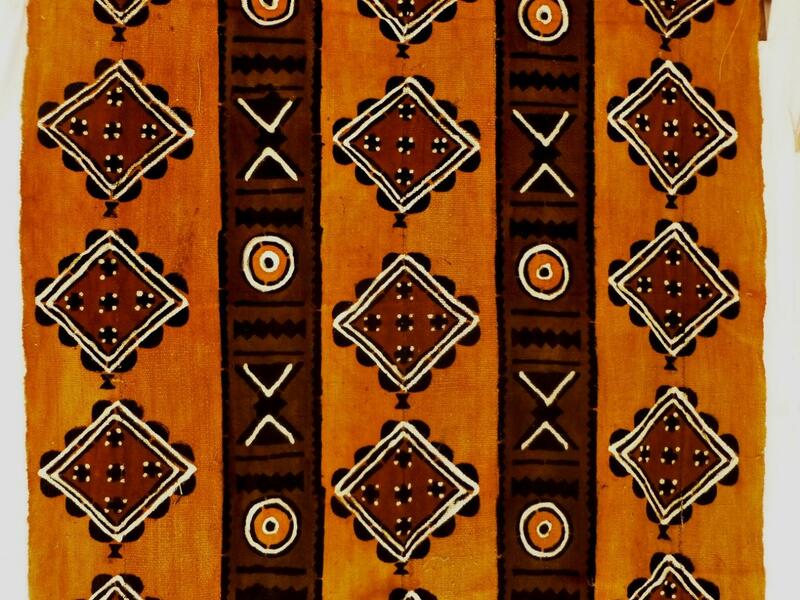 Now yellow, the cloth is sun-dried and then painted with designs using a piece of metal or wood. 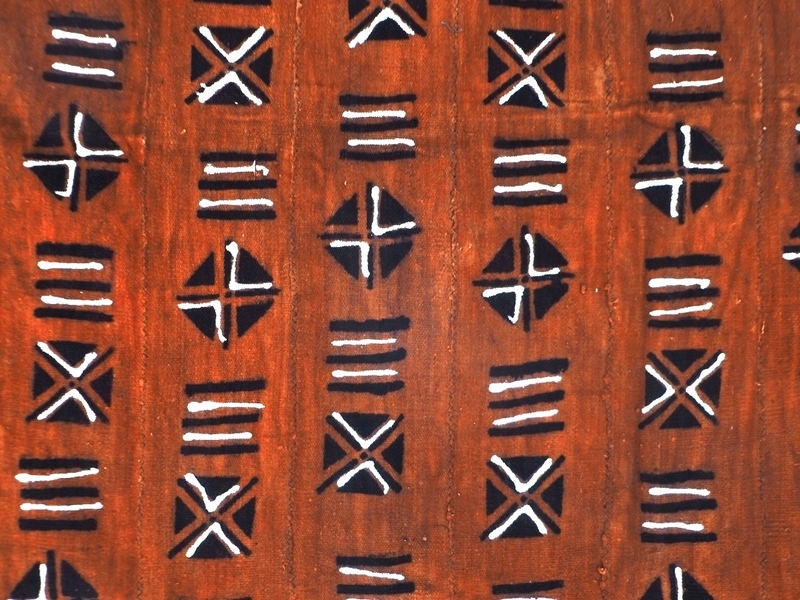 The paint, carefully and repeatedly applied to outline the intricate motifs, is a special mud, collected from riverbeds and fermented for up to a year in a clay jar. Thanks to a chemical reaction between the mud and the dyed cloth, the brown color remains after the mud is washed off. Finally, the yellow dye is removed from the unpainted parts of the cloth by applying soap or bleach, rendering them white. The amazing aspect of this fabric is that the background is actually applied and not the lightened areas. After long use, the very dark brown color turns a variety of rich tones of brown, while the unpainted underside of the fabric retains a pale russet color. In traditional Malian culture, bògòlanfini is worn by hunters, serving as camouflage, as ritual protection and as a badge of status. 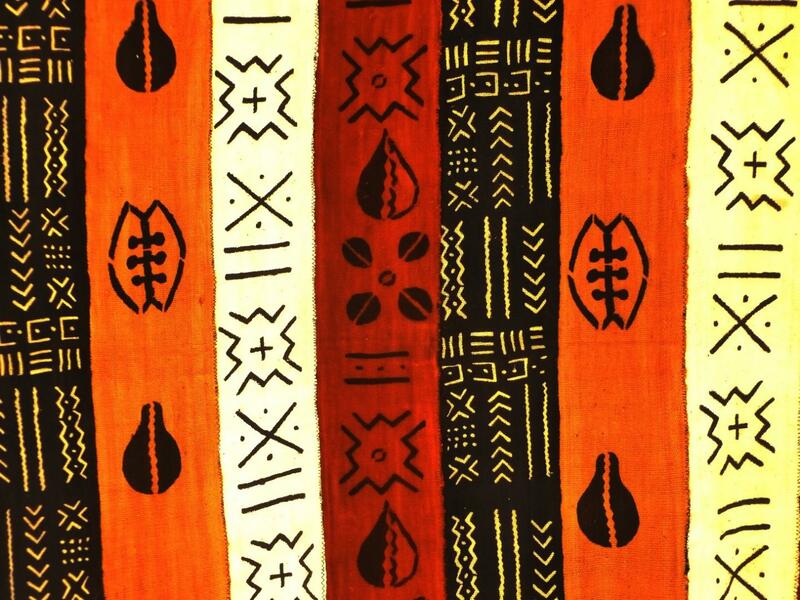 Women are wrapped in bògòlanfini after their initiation into adulthood (which includes genital cutting) and immediately after childbirth, as the cloth is believed to have the power to absorb the dangerous forces released under such circumstances. The pictures taken of the individual pieces we got in stock are as accurate as possible. Nevertheless the real nuances of the color tones can be slightly different. Please be aware of this when you order and be assured that the real colors are always better than the ones in the pictures! !